When making introductions, do you say your name? For those who had an immediate “Yes, of course, response,” are you sure? When someone you know introduces you, do you say your name to the person you’re being introduced too? It’s shocking how often people don’t tell you their name. It’s common for people to introduce me to a group like this, “Everyone, this is Nikki, Nikki this is everyone.” As I go around and shake hands with people, they rarely give their name. They might say, “Hi, it’s nice to meet you,” but then I have to ask for their name. Even when I get an introduction like, “Everyone this is Nikki,” I still give my name to each person. I’ll say, “Hi, I’m Nikki Rausch, it’s nice to meet you.” Even that rarely gets people to give their name in return. When this happens and I have to ask people to tell me their names, an immediate impression is formed. I think to myself, “Oh, this person lacks professionalism/social etiquette.” And right or wrong, it’s unlikely that person will get my business. I prefer to work with professionals and understanding social cues plays a big part in how I perceive people. These simple social interactions matter. Introductions are a huge part of the first impression. People are making judgments about you. You have a short window of time to establish your credibility. Set yourself up for success by making it easy for people to connect with you. One way to do this is by giving someone your name. Even after I’ve spoken at an event and my name has been announced at the front of the room, I don’t assume people know my name. When someone comes over to introduce themselves to me, I still say, “It’s nice to meet you, I’m Nikki.” The worst that can happen in this situation is they hear my name for the second time. The best that can happen is they now feel a connection and know my name. Years ago in a storytelling class, I learned a great Nasreddin Hodja story with the moral being, “It all counts.” These subtle and often overlooked opportunities will either draw people to you or push them away. When you approach your interactions with the attitude of, “It all counts,” you’ll pay closer attention to how you show up and the impression you’re making. 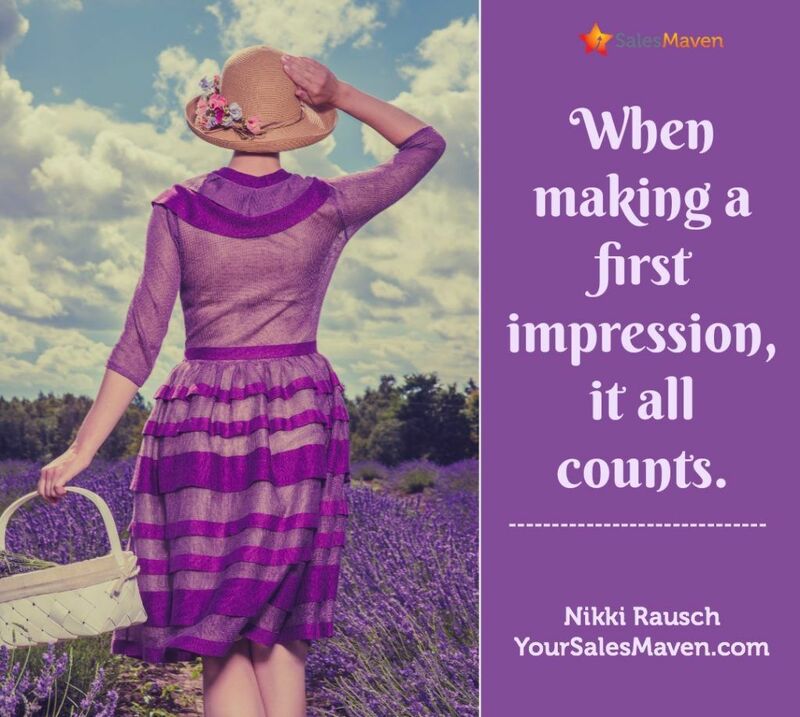 Start making a positive first impression during the introduction phase and be sure to give your name.